Chocolate is a specialty we've perfected over time. 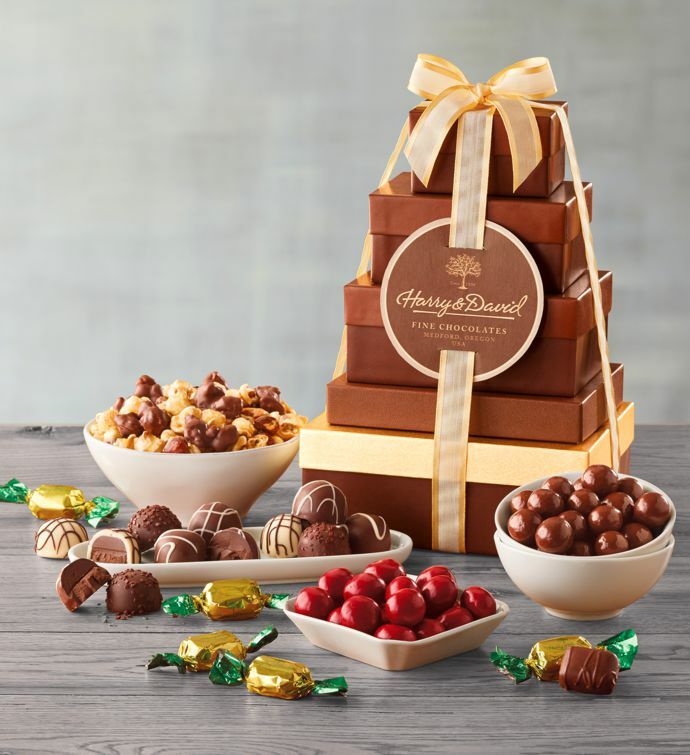 This beautiful tower includes five bestselling selections from our lineup, including dark chocolate Moose Munch® Premium Popcorn, delectable chocolate cherries made with real fruit, and a half pound of signature chocolate truffles made with the recipe we've been using for over 30 years. This gift is topped with a hand-tied bow.